Karina's Kreations: Stampin'Up Gift Card Holder! Look at this gorgeous gift card holder my friend Donna made for me. 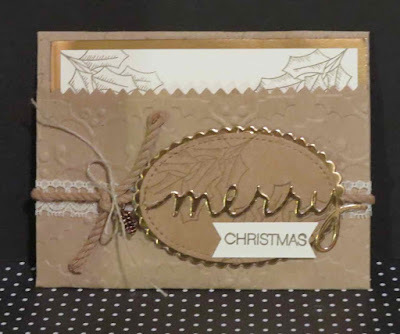 She took a kraft gift bag #138315 and embossed it with the Holly Embossing folder #141634. She folded up the bag and tied Very Vanilla 1/2" Lace Trim #141672, and Kraft Rope Trim #141996 around the bag. She added a pinecone # 141990 to the project with Linen Thread #104199. 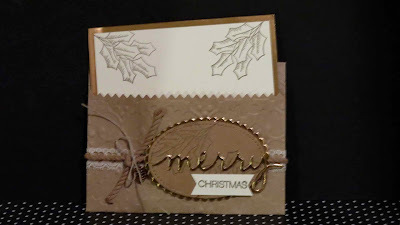 The stamp set is Holly Berry Happiness#142061. 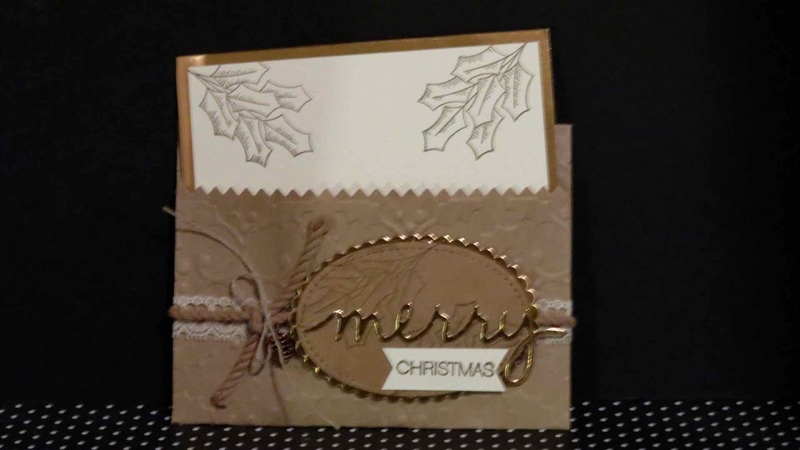 The "Merry" was cut out of copper foil with the Christmas Greetings Thinlits #139659. Notice the Stitched Shapes oval piece? The framelit dies should be availble Jan 4 if you haven't got your set yet.